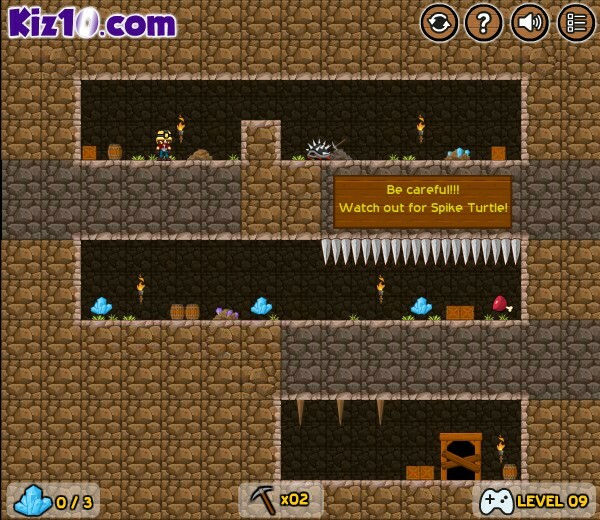 Platformer Action Adventure Kiz10 Click to find more games like this. 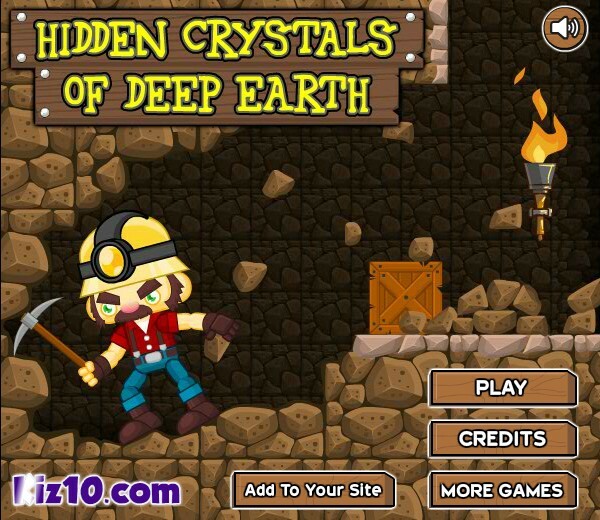 Hidden Crystals of Deep Earth is a platform game and exclusive ability Kiz10, where you have to use all your intelligence to help our mining, which is trapped in a mine in the center of the earth. 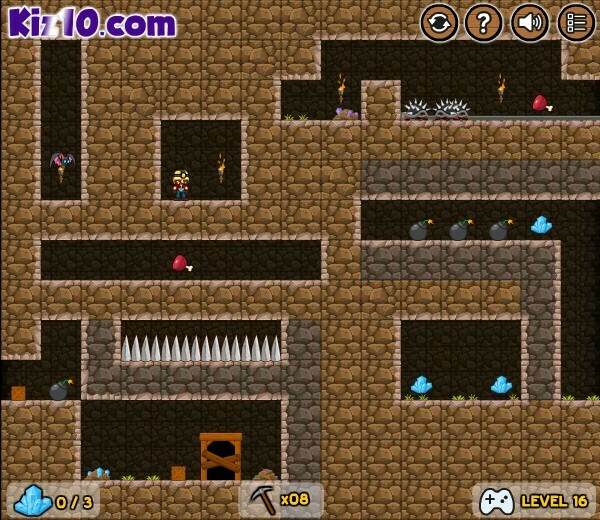 It shall be collecting all the crystals to open the doors and go from level, but nothing is so easy, you have limited the number of walls to break, where you must think through every movement. Luck!